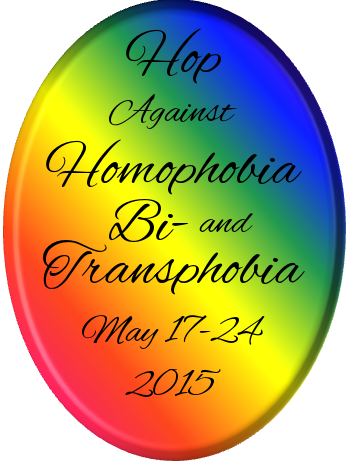 Hop Against Homophobia, Bi- and Transphobia! On May 17, this blog– M. LeAnne Phoenix’s The Worlds in Our Stars— will be participating in the Hop Against Homophobia, Bi- and Transphobia, which will be in honor of the International Day Against Homophobia, Transphobia and Biphobia. This hop will continue until the end of May 24, during which time all participants will be running contests and giveaways to benefit this amazing cause! Anywhere you see the below badge– which you can also see in full size to the left of this page– you will get a peek into the blogger’s mind about what this day means to them. On May 17th, my post will center around the recent rash of suicides of the beautiful transgender teens. My heart hurts with each one that has passed, and I know that there have been more than just Leelah, Taylor and Cameron, but these three beautiful lights that have gone out shook me up. Having only been active in the gay romance world for almost a year, I feel like I’ve really only been active in the LGBT community that long. It is my hope to become ever more active, to help save as many as I can with the words I write.